Meet our match, Kara and Rachel. Kara came to Lead(h)er looking for a mentor who could help her develop toward her next professional challenge and Rachel was ready to help her take on that task! Kara and I were matched early last spring and enjoyed meeting several times. We found we had a lot in common as she is interested in pursuing a career in international higher education. I was excited to connect her with several of my higher ed colleagues here at Augustana involved in international education, and enjoyed talking with her at this crossroads of her career. 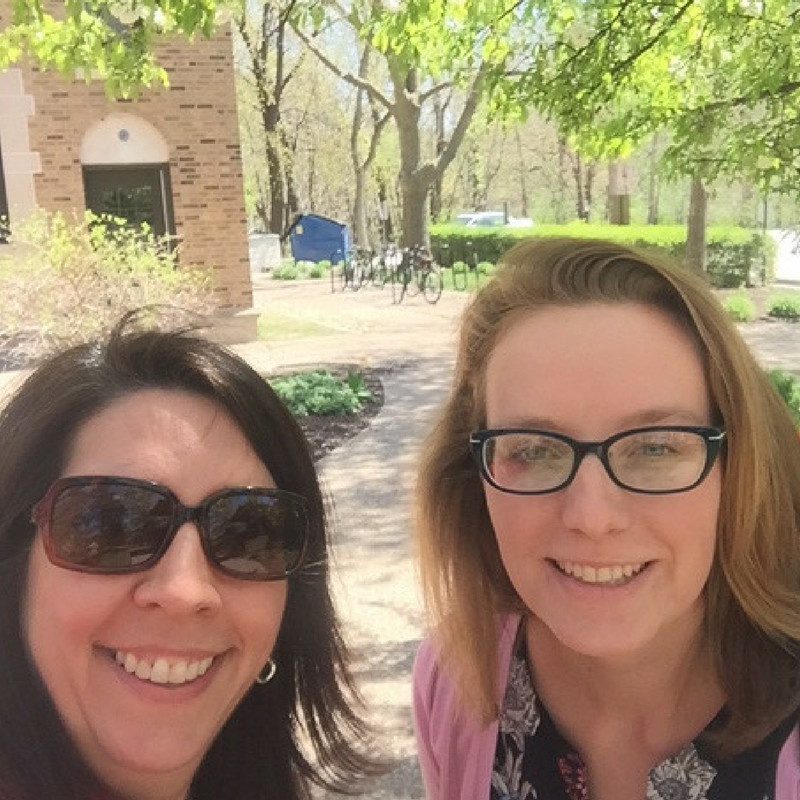 From one of those Augustana connections, Kara was able to receive a grant to the NAFSA (international higher education professional organization) regional conference in Denver in November. I am proud of her for pursuing this opportunity and enthusiastic for her to have this experience as I know she will make the most of it, and the conference will open many doors for her. Recently Kara has moved out of the area as she has taken an internship in Wapello County, with FoodCorps/Iowa State Extension and Outreach running garden education programming with local elementary students, and honing her non-profit development skills. I will miss getting together with her, but excited to see what the next steps will be in her career! Thanks Lead(h)er for the great match! Kara and Rachel's match story highlights the impact of having an expanded circle of influence. Rachel's shared connections fueled a new professional opportunity for Kara... one that she might not have uncovered on her own. This is exactly why mentoring matters. Thanks, Kara and Rachel, for sharing your story with us. Keep up the great work!